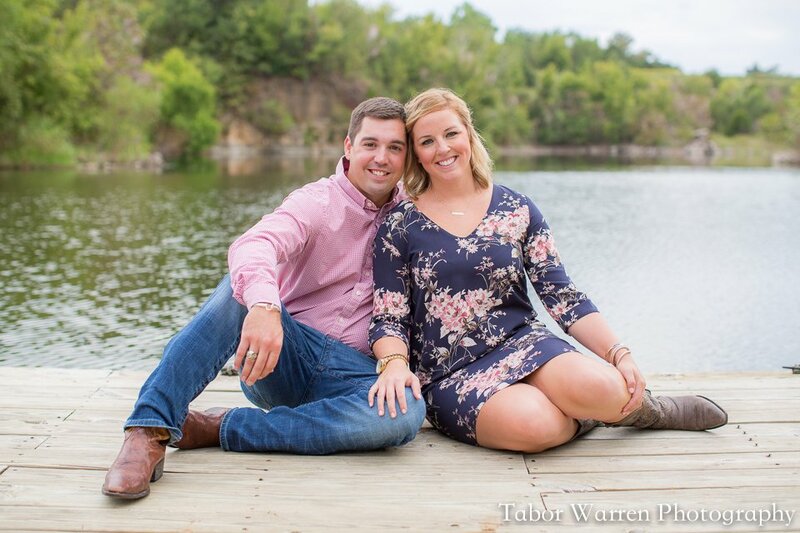 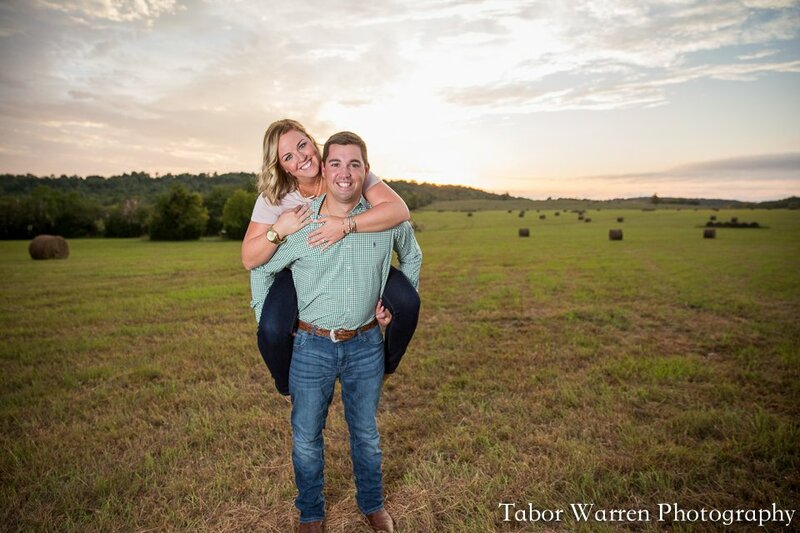 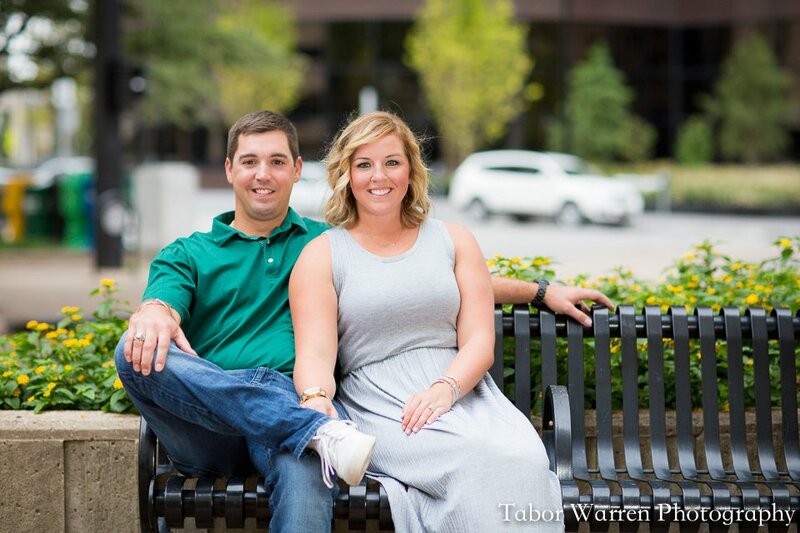 Check out our Tulsa engagement photographers page. 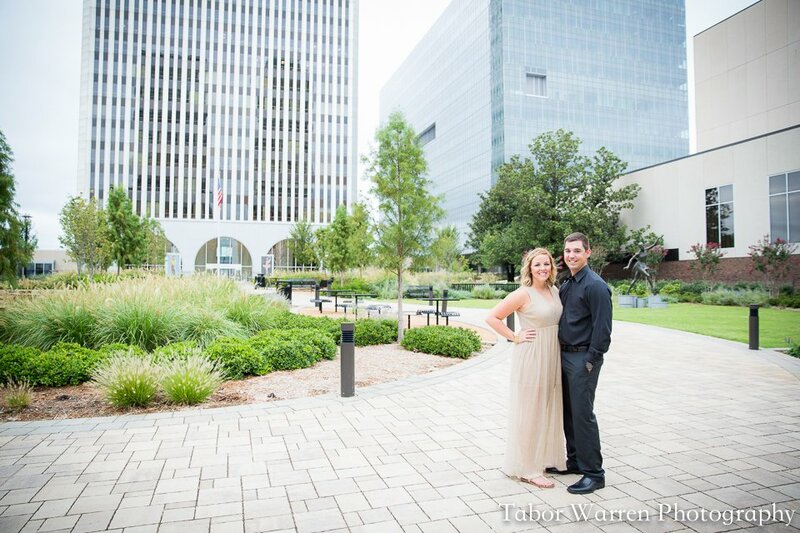 Look at our Tulsa wedding photographers page. 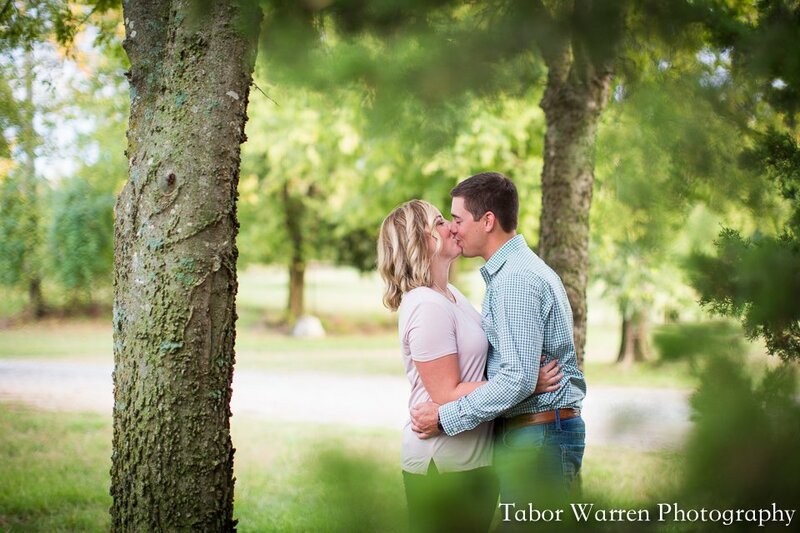 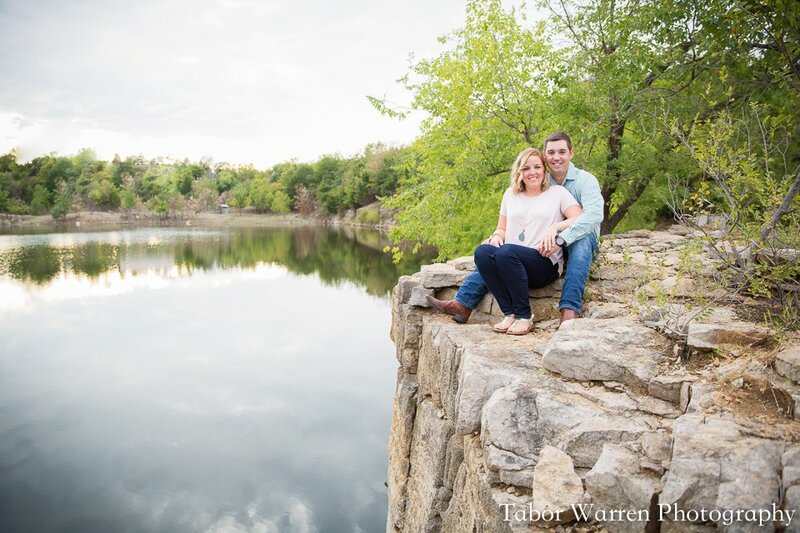 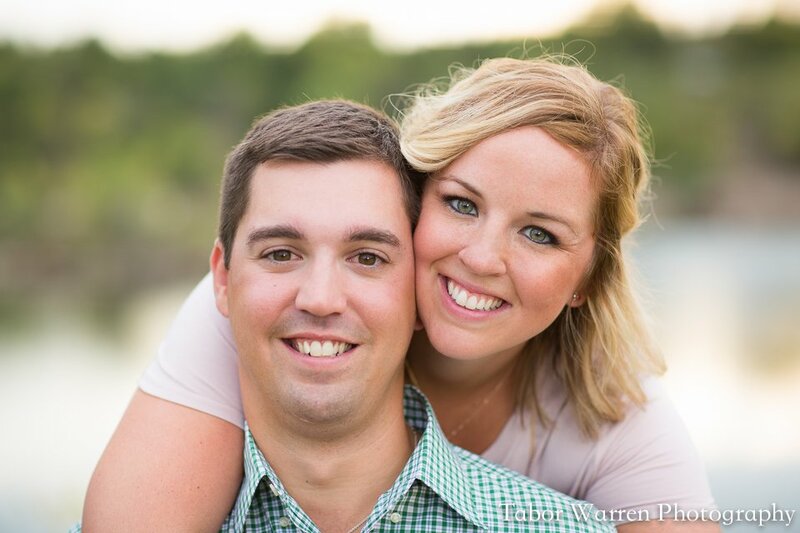 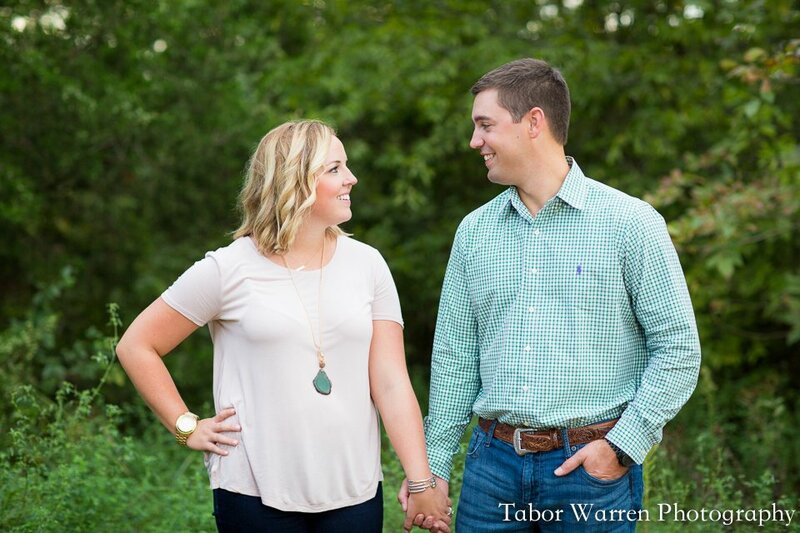 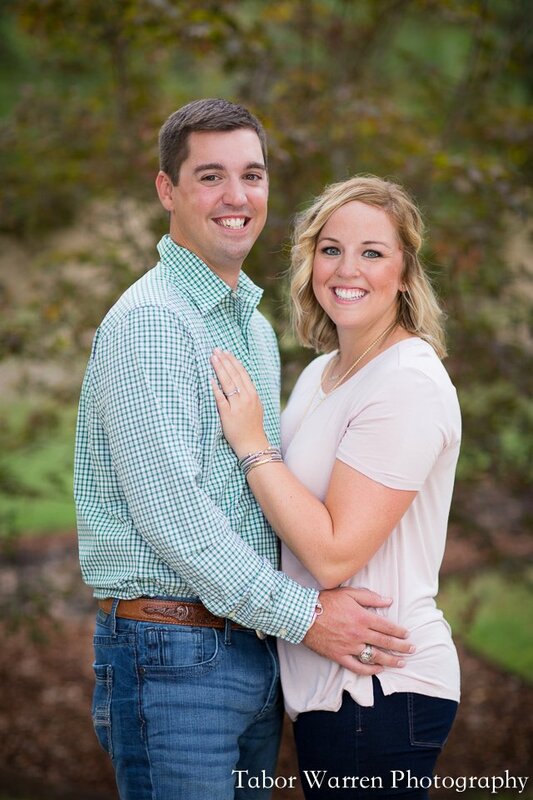 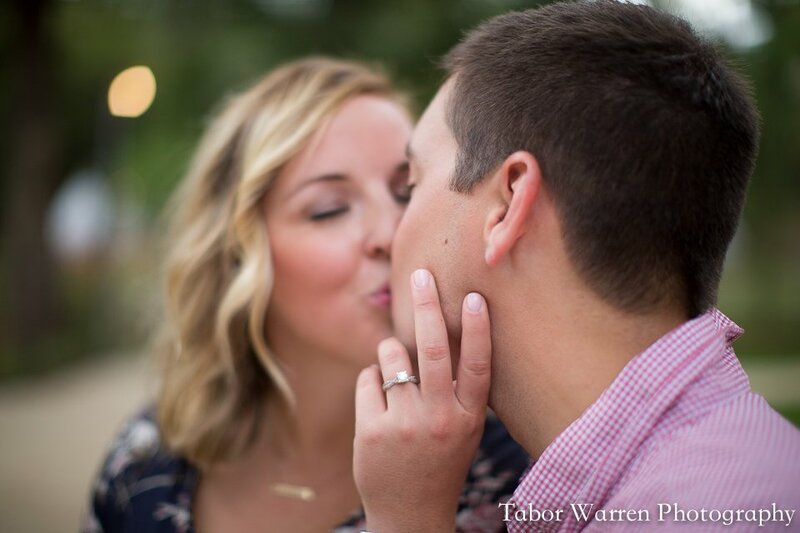 View the rest of Kelsie and Daniel’s Tulsa engagement gallery! 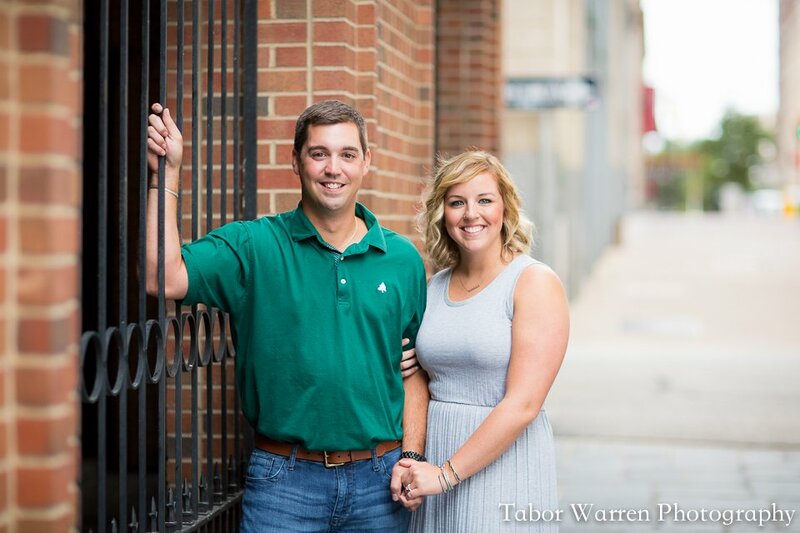 Tabor here — Bailey and I had such a great time working with Kelsie and Daniel during their downtown Tulsa engagement session! 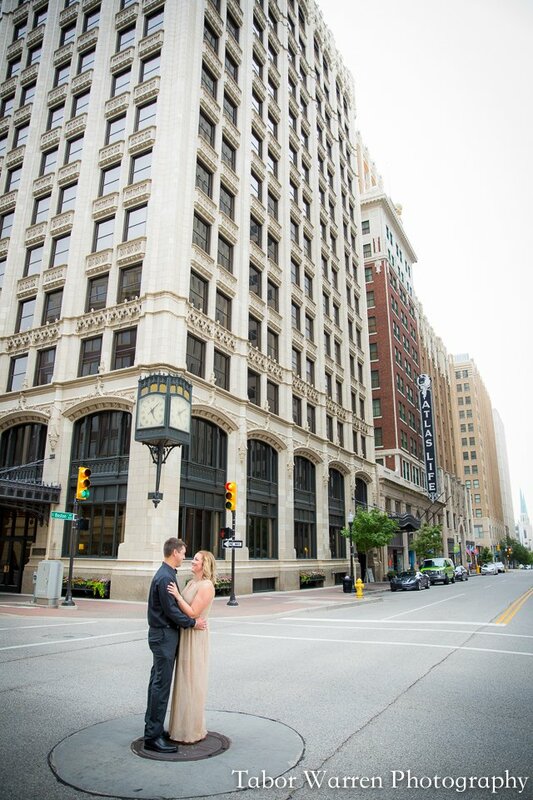 They are such awesome people, and having the opportunity to be their Tulsa engagement photographers was an amazing opportunity. 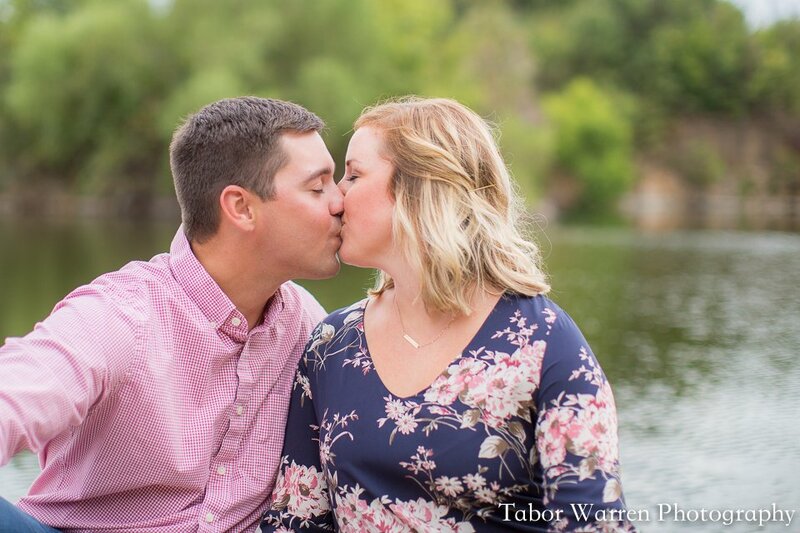 We began their engagement photos near the Jimmy Johns at 5th and Boston and ended at our sister-company, Meadowlake Ranch. 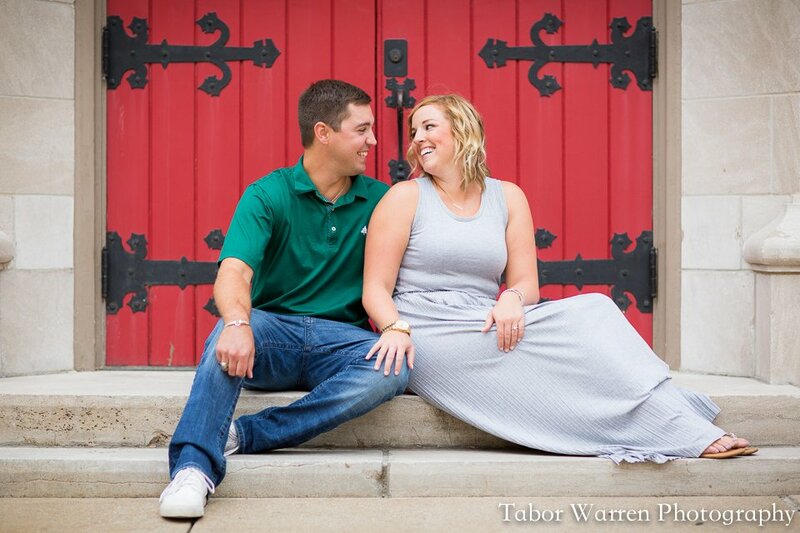 During their session, we covered a lot of ground. 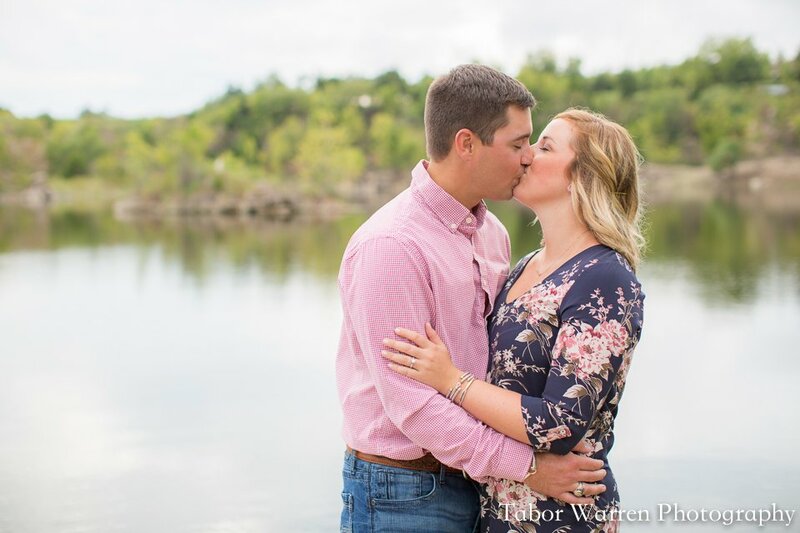 From the classic red doors at Trinity, to the freshly bailed meadow at sunset, this was an awesome session, and I am so excited for their wedding this May.